Guardian was right. 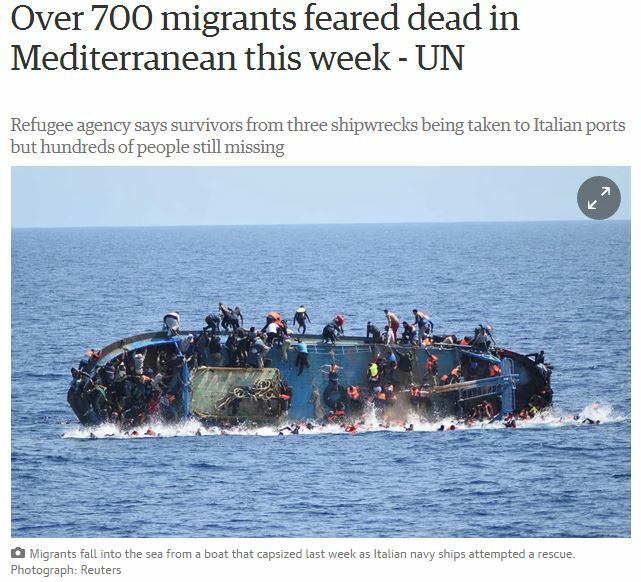 Just two weeks after this warning, on April 19, 700 refugees had died in Mediterranean shipwreck. The Mediterranean had become a mass grave for nameless refugees. Over 4,000 migrants have died trying to cross the Mediterranean to Europe in 2015. 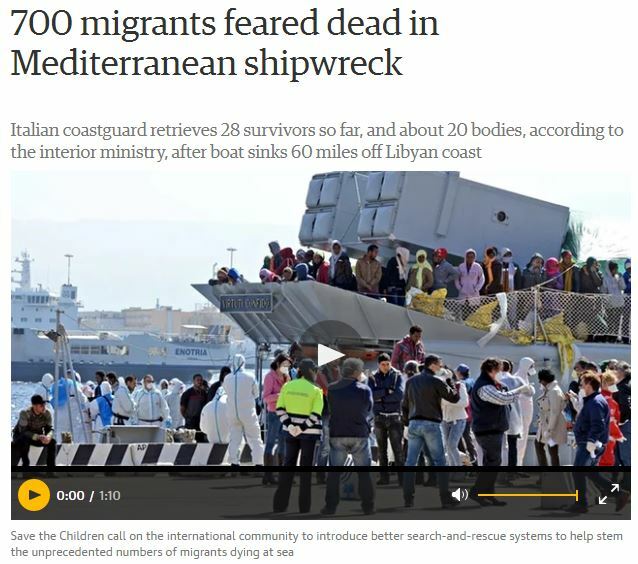 These mass deaths in 2015 were a direct consequence of the EU decision to cancel the search and rescue operation ‘Mare Nostrum’. The operation was ended on 31 October 2014 because the European Union leaders believed that these were a pull factor for the refugees. Seemingly, it wasn’t the ‘push factors’ of war, death, torture etc, but the ‘pull factors’ of a limited search and rescue operation that ‘encouraged’ the refuges to take the deadly journeys across the sea. A third of the refugees making these risky journeys were children. 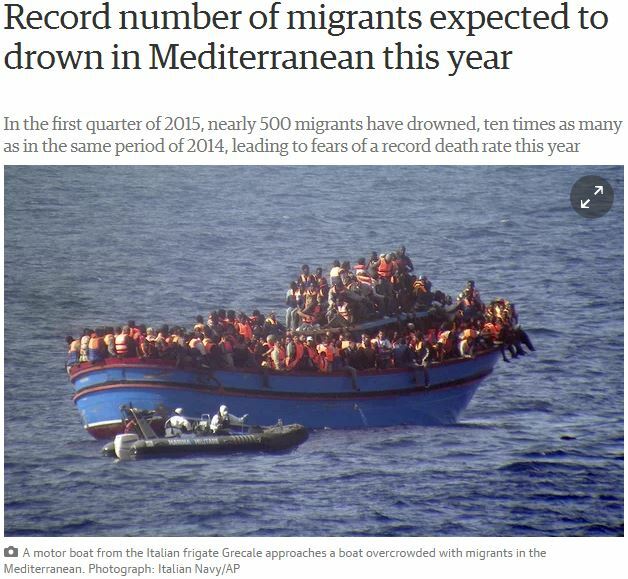 Over the following months there were more deaths in the Mediterranean. As the EU successfully blockaded these crossings, refugees started crossing the Aegean Sea from Turkey to Greece. Having prevented the refugees from crossing into Italy the EU moved on to ‘sort out’ the situation in the Aegean. After endless summits and numerous action plans they came up with the idea to buy the Turkish co-operation by offering Turkey fast tracked accession process for EU membership, financial support and visa free travel for Turkish citizens into Schengen zone. In return Turkey was to stop the refugees from leaving and accept deported refuges from Greece. Having shed a few crocodile tears for Alan Kurdî, the EU leaders have put the EU Turkey Readmission Agreement signed in 2013 into practise. It did work. Over time refugees were stopped by Turkey and hundreds of thousands were scheduled to be deported from Greece. According to EU another ‘pull factor’, the easy crossing from Turkey to Greek islands, was removed. The opportunist ‘migrants’ could not come to Europe anymore. But, the push factors for refugees worsened. The conditions in Syria, Yemen, Iraq, and Afghanistan are worse than ever. ‘No one puts their children in a boat unless the water is safer than the land‘. That is the ongoing reality for the refugees. A year on, we are back to the beginning. Having no choice the refugees went back to the Mediterranean routes. “Refugee agency says survivors from three shipwrecks being taken to Italian ports but hundreds of people still missing”. So far, between January 1 and May 25 2016, at least 1,475 died making the journey to Europe by sea. A year on with at least 6,000 deaths, we are back to the beginning. 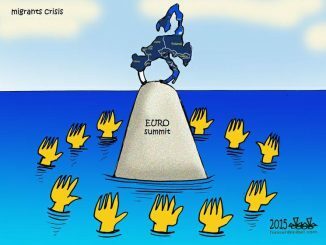 This time the EU leaders don’t even brother pretending to be sad. Nameless, faceless refugee children disappear in the waters surrounding the Fortress Europe. Refugees don’t die because they are stupid or opportunistic migrants. 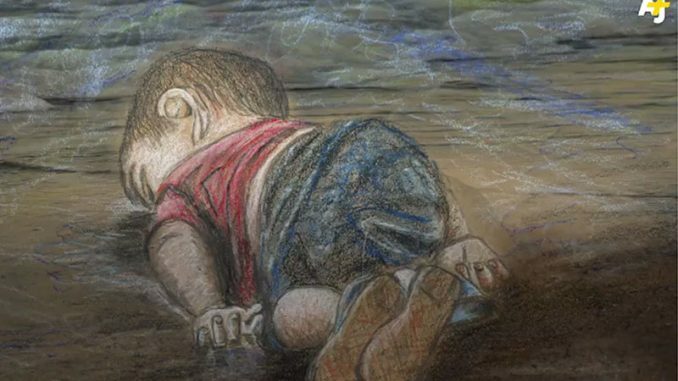 They die because the rich countries deny the victims of war, poverty, disasters or oppression the universal human right of “everyone has the right to seek and to enjoy in other countries asylum from persecution”. Because, there is no possibility and no options for the people seeking refuge, to reach EU countries safely and under the protection of states. Because, the only option left to the refugees is to become ‘illegal migrants’ and trust their lives into the hands of profiteering traffickers. Because, not only the rich countries don’t protect the poor and suffering, but they actively let them die on their long journeys. They die because of Fortress Europe. Whether our answers are to the ongoing crisis, short and quick, or long and comprehensive, the reality is out there. Some things are not right on this earth. This system has lost the plot altogether. On the news we see extreme wealth of a small minority alongside the extreme poverty of millions. Somebody’s ‘national’, ‘commercial’ interest becomes somebody’s famine, war, poverty, oppression or death. 20 June is the UN World Refugee Day. What does ‘celebrating the courage of refugees’ mean unless we force the issue and stand in solidarity with our refugee brothers and sisters? UNITED AGAINST RACISM has organised a march in Dublin. 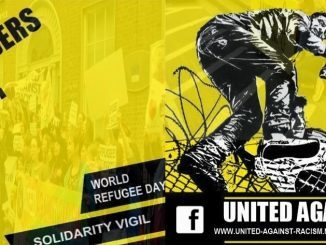 20 June, World Refugee Day: Solidarity walk to mark the World Refugee Day. We want to make this march as big as possible. Please join us. 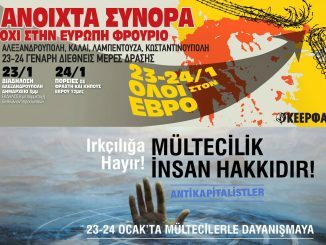 Stop the refugee deaths and racist Fortress Europe policies.